Unique Collision Center is a family owned auto body shop in Gulfport, Mississippi in the Gulf Coast area. Our auto body shop was established in 1984 by the Pique family. At Unique Collision Center, you will notice we are dedicated to serving our customers and treating them like family. We know needing auto body repairs and having your vehicle in an auto body shop for repairs can be stressful. Our team at Unique Collision Center strives to take the stress out of the repair process for you. Throughout our time serving the Gulfport area, we have expanded our auto body facility to accommodate the growing needs of our customers. At Unique Collision Center, our customers can rest assured their vehicle is in good hands. Our auto body shop and our team of auto body technicians are ASE Certified and I-CAR Certified meaning we are trained to the highest certification within an assured performance network. 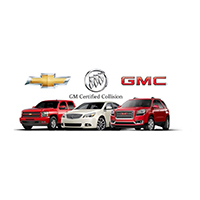 Unique Collision Center is certified by GM, Nissan, Ford and FCA Hyundai. We are look forward to serving you and helping you during your time of need. Unique Collision Center serves the following cities: Gulfport, Biloxi, D'lberville, Ocean Springs Bay St. Louis, Waveland, Diamondhead, Long Beach and Harrison County.